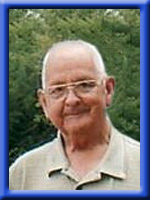 HUNT – John P., 70, of Milton, Queens County, passed away suddenly at home, on Tuesday, November 9th, 2010. Born in Liverpool, he was a son of the late John and Elsie (Joudrey) Hunt. John worked in the retail business for 40 years: Wilson’s Shopping Centre in Barrington Passage from 1977 to 1986 as a furniture and a appliance salesman and moved to Liverpool to work at Home Hardware until he retired in 2003. He was a member of the Liverpool Loins Club since 1994, treasurer of the Kidney Foundation; Nova Scotia Branch since 1994. He is survived by his sons Christopher and Dwayne (Cathy), both of Barrington Passage. 5 grandchildren. Brothers: Boardman (Marlene) of Greenfield; Samuel (Zola) of Dutton, Montana; Wilbert (Marion) of Great Falls, Montana; and half brother Dr. Harry (Gail) Gardner of Kentville. So sorry John that you had to leave so suddenly. You will be missed by many people who loved and cared about you. We were looking forward to seeing you next summer and spend some time with you. You will always be in are hearts and prayers. I was both shocked and saddened to hear of John’s passing. He was a great guy and will be missed by many. My thoughts are with his family at this very sad time. John was a great help to me over the years he worked for us at Liverpool Home Hardware. He was always up for my teasing and a good laugh. We miss him very much, and send our condolences to Christoper, Dwayne anf their families. Don and Vi Mackenzie and the Staff from Liverpool Home Hardware. Just heard about John’s passing. I was totally shocked by the sad news! John and I were good friends growing up in Middlefield. My thoughts and prayers are with the family at this difficult time! Very sorry to hear of Johns passing. Our prayers are with you. My deepest sympathies to all who John touched so deeply. He was a great man and I will surely miss the great big smile and chats him and I shared on occasion. Heaven will surely be blessed with a man who was so treasured during his time on earth. You will be missed. Chris, Dwayne and families. So shocked to hear about John,I have lost a very good friend, we worked so many year with the Local kidney chapter always willing to give a helping hand. He will be surely missed by so many. Although you may not know us, we feel compelled to send along our heart felt condolences to the family of John.A finer gentleman you would not meet. Always a smile, a hardy laugh and a helping hand. Rest in peace John, and may God take your family in His comforting hands. our sincere sympathy to the hunt family. We were very sorry to hear about John. He always had time to stop and talk when we met him at work or on the street. Our thoughts and our prayers are with your family. Chris,Dwayne & Families, so sorry to hear of your Dad”s passing. We always enjoyed his visits, chuckles & friendship over the years. Our thoughts are with you all, Take care. I am so sorry to hear of the passing of your brother. Death can quite often be a shock as I can certainly attest to. Please accept my deepest sympathy and I know that God, in all His goodness, will take care of all of you during these difficult days. My prayers and thoughts are with you. Sorry to hear of John’s passing. Keep the memories for they will never fade away. I am so sorry to hear of John’s sudden passing. Heaven has received a bright shiny star and this community will miss him greatly. John’s sunny disposition, his bright smile and helpful, pleasant personality will be greatly missed by so many. My throught and prayers go out to his family during this difficult time. Keep all your good memories in your hearts. We were sorry to learn of the death of John. We remember him as a fixture at the Home Hardware, and his hearty laugh. We are remembering you all in prayer. We are sorry for your loss. John will be missed , he was a great person and was always helpful when he work at home hardware. Please accept our sympathy in the loss of your loved one, John. I always enjoyed his waiting on me at the Home Hardware. He was such a kind person and always ready to assist you with a smile. He will be greatly missed. So sorry to hear of Johns passing,Our thoughs and prayers are with you all.. I was very sorry to hear of the passing of John. I knew him for a few years through Lions Radio Bingo, when I did fill-in announcing. John was always sweet, talkative and friendly. I really enjoyed seeing him and hearing his jokes, calling him “the crystal ball” (since he had the computer that told us if there was a winner). My sincere condolences to his friends, family, and especially to the Liverpool Lions Club, I know they have lost a great friend and supporter.